In less than four hours! The tools required are minimal and completely portable. Once you learn the technique the possibilities are unlimited. 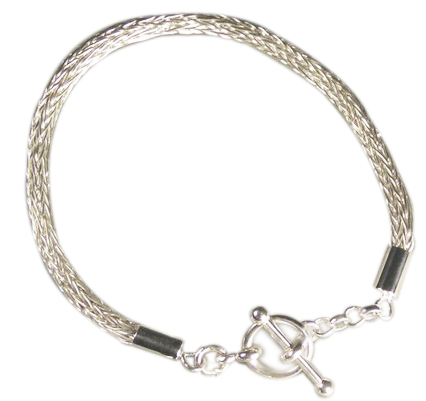 Explore the ancient tradition of chain making! 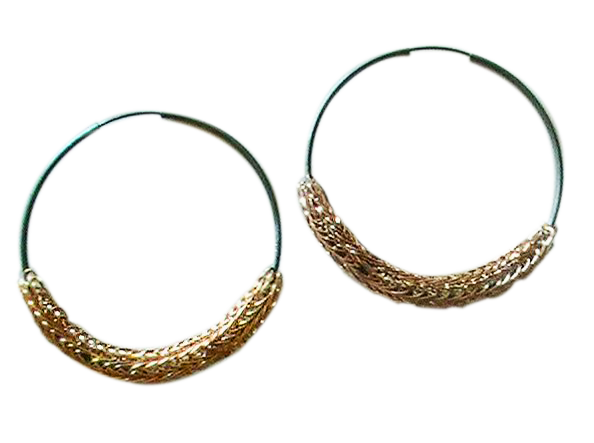 Bijoux Célestes,invites you to explore Viking Knit Chain Making. 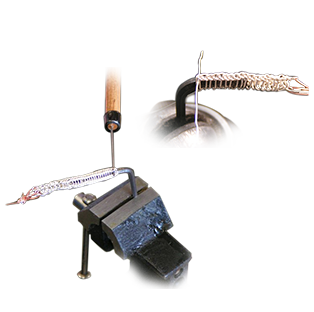 We will use this centuries old looping technique to create a beautiful fine silver bracelet. Students will have the opportunity to complete the bracelet in one class. Guaranteed! 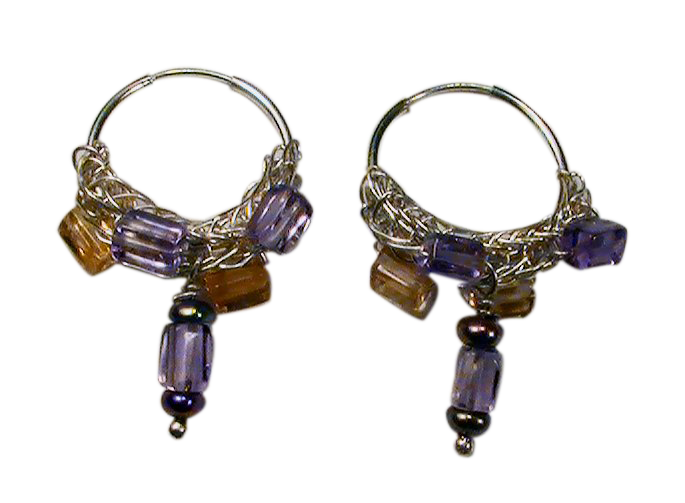 No previous experience required, students usually complete the bracelet in less four hours. Experience the timeless journey of traditional craftsmanship and the beauty of a personal ornament. All the tools and materials will be provided for the project. 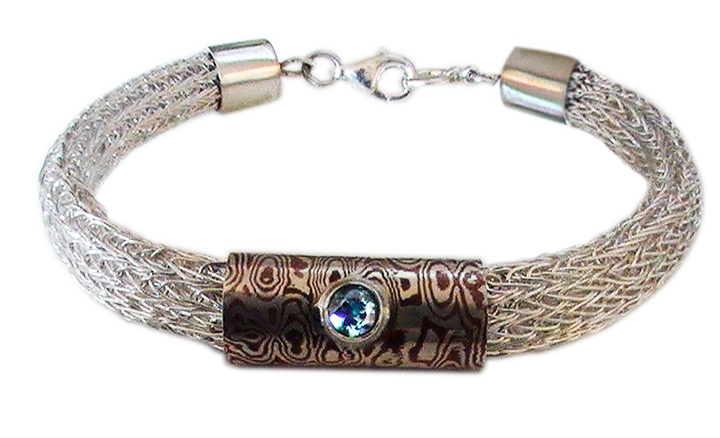 To insure the best experience and your completion of the finest bracelet we are limiting the class to only six students per session. Guaranteed completion and Satisfaction or your money back! six students for $100 each a whopping 30% discount.